Stanbic Uganda Cup defending champions, KCCA FC were on Tuesday eliminated from the competions at the round of 32. The Kasasiros who defeated Vipers 1-0 in last year’s final, bowed out 3-1 on penalties after drawing 1-1 away to Tooro United in normal time. Patrick Kaddu put KCCA FC 1-0 up early in the second half before in-form Allan Kayiwa levelled matters for the home side a few minutes to the end, despite Tooro having Simon Sserunkuma sent off earlier in the last 45 minutes. 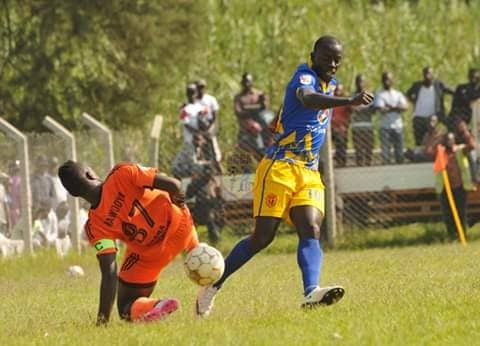 The results means that in a space of two days, KCCA Football Club has bowed out of two competitions, having been ejected from the CAF Confederations Cup by AS Otoho Doyo on Sunday. KCCA put the game on high tense from the start that saw Tooro United’s Isa Mubiru and Paddy Muhummuza get early bookings in the 4th and 11th minutes but the game went goalless after the breaking whistle. After the break, KCCA introduced Allan Kyambadde on the pitch for Mike Mutyaba and later Peter Magambo went into the referee’s book for a foul. In the 51st minute, the garbage collectors went into the lead when Patrick Kaddu pocked home past Joel Mutakubwa to silence the noisy crowd. Five minutes later, the hosts withdrew Yaya Mahad off the pitch for Davis Ssali and also Baker Buyala came on for Steven Luswata. In the 72nd minute, Tooro United completed their changes when Willy Kavuma replaced Steven Omvia that saw KCCA react with introducing Muwada Mawejje to replace Julius Poloto. In the 77th minute, typical talisman Allan Kayiwa levelled matters for the hosts after slotting home past Charles sending the crowd wild. In the remaining time, both sides were solid and compact in defense that forced the game into decisive penalties. In spot shootings, Willy Kavuma, Mike Kawooya and Isa Mubiru all converted the three chances for Tooro United. For KCCA, skipper Timothy Awany shot wide, while Hassan Musana and Allan Okello spots were saved. Only Muzamir Mutyaba managed to convert inside the back of the net and the reigning champions got a manual ejection while Wasswa Bbosa’s team stepped into the money bracket. 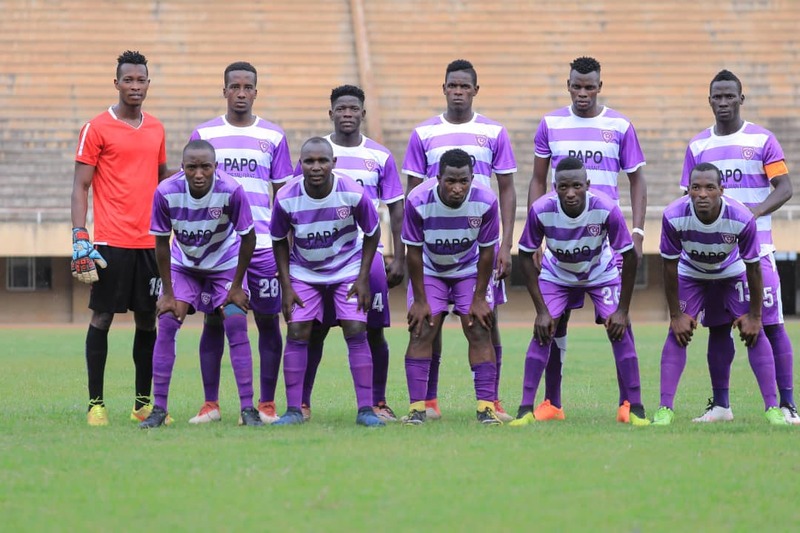 In the game played at Namboole, Abdul Karim Kasule’s last gasp goal saved Wakiso from a shock elimination from the oldest competition in Ugandan football. The former Express and SC Villa forward struck deep into additional time to send the game into penalties following a 2-2 draw after 90 minutes. In a game that was largely dominated by Wakiso, substitute Feni Ali handed Ibrahim Kirya’s side the lead midway the second half before two minutes of madness nearly ended Wakiso’s hopes of a first ever Uganda Cup triumph. On 62 minutes, Wakiso shot stopper Cleo Ssetuba made a hauler as he let the ball slip through his legs, while outside his area, into Umar Mbowa’s path for the striker to tap into an empty net for 1-1. Two minutes later, Ssetuba half cleared in Wakiso’s area, punching the ba onto Kamada Ssebagala’s right foot and the midfielder made no mistake as he lobbed the goalkeeper to make it 2-1 to Kireka. Ibrahim Kirya’s men continued pressing hard and in the 90+7 Abdul Karim Kasule levelled matters off a Feni assist to send the game into sudden death. Wakiso Giants scored all the five with the home side missing one taken by Daniel Otto. Wakiso who are featuring in their first ever campaign have now reached the last 16 of the competition.